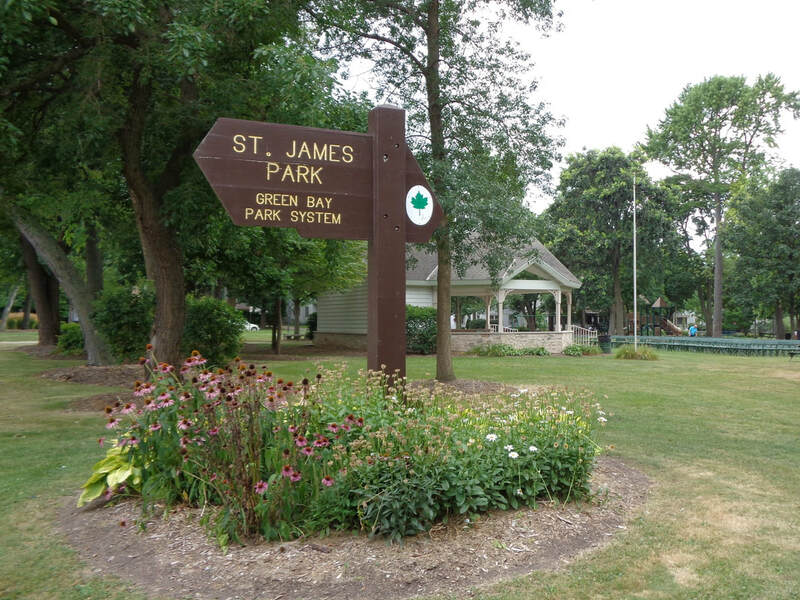 The St. James Bandshell, located in the National Historic District of Astor Neighborhood, was constructed in 2002. Bay Architects designed it. The total cost of the bandshell was approximately $110,000 with $105,000 of it raised through donations and the remaining $5,000 City funded. A plaque on the bandshell honors Mildred Holman Smith who lived on Monroe Street and whose family donated $100,000 of the funds needed. No major changes have happened since its construction. The Green Bay City Band plays one evening per week during the summer. A sign in St. James Park also lists the concert schedule. Other neighborhood events are held there and the city rents the space to the public. Article from the Green Bay Press-Gazette, June 18, 2001, announcing the new construction of the bandshell.